Why stand in a long line at the supermarket when you can save time and of online grocery shopping? 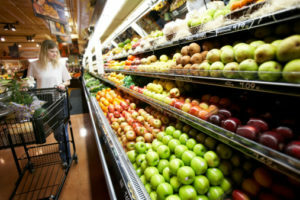 Whether you are busy with your job, school, kids, or friends, you always need to find time for grocery shopping. It can be very time consuming. From making the list of all products you have to buy, driving to the store, taking way too long trying to find the products on the endless aisles, and then driving back home, you can easily spend one hour or more of your entire day. This is time you could spend with friends, family, exercising, reading, or doing any other activity you are passionate about. 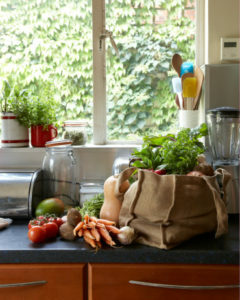 By online grocery shopping you will have more time to enjoy. There will be no more driving, searching endlessly for products, and making huge lines at the cash register. Online grocery shopping has become increasingly easy. In the comfort of your own house, you can go online, sit, relax, and begin picking your products. And the best part is they are delivered to you! Watch a movie, a TV show, talk with friends or family, while your supermarket takes care of it. When you online grocery shop, you can browse through all aisles without taking forever to find the product, and it even gives you options of the different prices. The best part is that you are able to choose the delivery time and just sit, relax, and enjoy your day. Save time, but also save gas! You won’t have to spend money on gas, or parking. Now, you can stay at home and let the work be done for you. Don’t ry anymore about making time to buy the food and then cook a meal. With online grocery shopping you will save time and be more cost effective. Here are several tips you can follow to have the best experience. When you do online grocery shopping, most times you will have to pay a delivery fee. But when you know the right promotion codes it will be for free! Make some research before actually purchasing the food and you will have your groceries done for free and delivered right at your door. The benefit of online grocery shopping is that you can order at any time. No matter where you are, you can order right for it to be delivered at your house. If you are a work and wan your groceries to be delivered right when you get home it is possible! Take advantage of this opportunity and don’t spend time after work doing groceries, go home and spend time with family and friends. One of the greatest benefits of online grocery shopping is that you can record what you’ve orders, so the next time you do it, it will be faster and easier. Online grocery shopping is faster than you would ever imagine. Save time, save money. Do online grocery shopping!